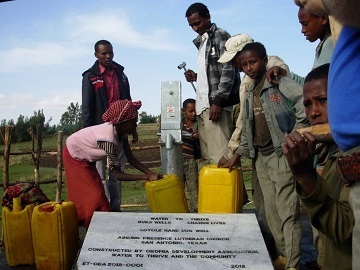 Abiding Presence Lutheran Church, in San Antonio, Texas, has been a great supporter for wells in Ethiopia. We wish to continue supporting Water To Thrive, as we work to complete this campaign for a new well. Memorials, honorariums and just good old gifts, are crucial in an Ethiopian girl’s life, so that instead of walking for hours to collect unsafe water, she can go to school and complete her education. Please join us in making a difference for another community in need. Thank you.